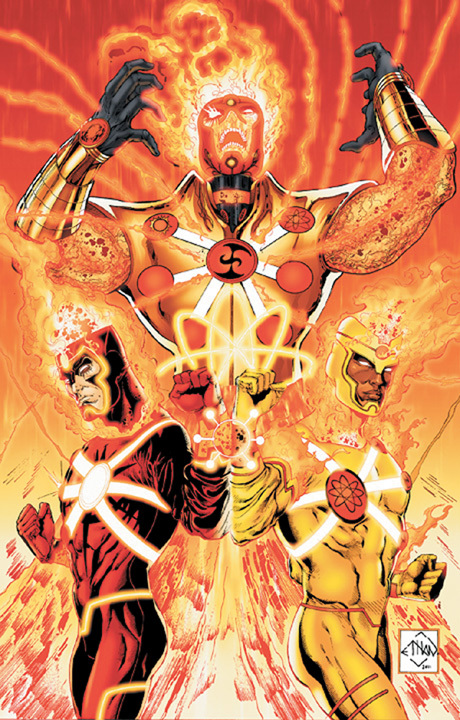 I’ve been testing out DC’s New 52, now and then wandering down to the comic shop, and today I wondered why the hell I hadn’t picked up the first three issues of The Fury of Firestorm: The Nuclear Men. The book is written by Ethan Van Sciver and Gail Simone, drawn by Yildiray Cinar, in what sometimes looks to be watercolor, and it is crazily nuclear. Um. Here is the premise: Some corporation, who supposedly runs the world, is after the missing “Firestorm Protocol.” Unbeknownst to the kinda deepish highschool quarterback in who knows USA, the kid who just so happens to have written a fairly scathing article about the jock in the highschool newspaper, who also happens to be a genius level nerd, has been given the missing protocol by its creator as the result of a private msg board. So when the jock confronts the nerd in the library, and they go out in the hallway to settle it, and the evil corporation (who probably isn’t all that evil, I mean, they are chasing the power to become a nuclear man perhaps so it doesn’t fall into the “wrong hands”) attacks to retrieve it, and to save their lives own lives, the nerd and the jock become Firestorm!? And are able, with their powers combined, to create Fury, a big Power Ranger unleashed by their anger at one another!? And their primary conflict has already been drawn along racial lines. And the nerd is black. It is very promising right now in terms of narrative trajectory. Oh yeah. 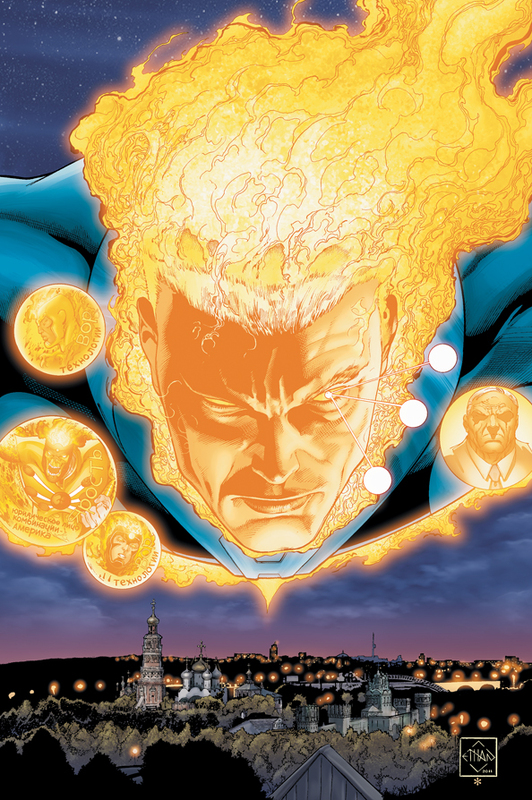 Firestorms’ powers? So far they seem to be able to turn guns into flowers. And shoot nuclear fire from their hands. At a certain level it almost doesn’t matter, because this is all really an excuse to post these gorgeous covers. It makes me wanna start a band called The Fury of Firestorm. Oh yeah, and there’s a bunch about the SuperCollider.